Four in five CEOs have trust issues with their marketing team and claim to be unimpressed by their work, a study by Fournaise Marketing Group has revealed. The marketing services provider surveyed more than 1200 CEOs in North America, Europe and Asia Pacific finding that 80% admit they don’t really trust and are not very impressed by the work done by marketers, while trust and value in the work of CFOs and CIOs was dramatically higher at 90% of the sample. The negative opinion of marketers appears to be driven by a perception that they’re disconnected from financial imperatives. Over 70% of chief executives believe marketers to be disconnected from business results and focus on the wrong areas. 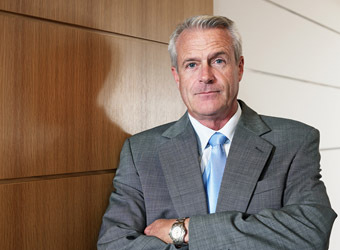 Jerome Fontaine, chief executive of Fournaise, had harsh words for the marketing profession, calling on his peers to ‘cut the rubbish’ in order to improve their reputation. “Marketers will have to understand that they need to start ‘cutting the rubbish’ if they are to earn the trust of CEOs and if they want to have a bigger impact in the boardroom,” Fontaine says. The study went on to investigate the reasons that CEOs felt less than positively about marketers, finding that the proliferation of new tools, marketing jargon and the ‘creative bubble’ impacted on perceptions. Most (69%) chief executives from consumer-facing firms asserted that communications teams live too much in their “creative and social media bubble” and criticised metrics like Facebook likes and Twitter buzz for being difficult to tie to sales. The gamut of new tools and the jargon associated with them has proved a distraction to marketers, the CEOs believed. Three in four of the interviewees thought marketers were too focussed on new techniques and jargon to understand terms like ‘results’, ‘return on investment’ and ‘performance’ in the business context. The group wants their marketers to focus on more tangible results, with 74% expressing a desire to see greater demonstration of return on investment. The study also found 78% of respondents reported that marketers too often lose sight of what their real job is – increasing demand for goods and services in a quantifiable manner. In the business-to-business sector, CEOs feel marketers have been so desperate to prove their worth that they’ve started to (wrongly) focus on performance indicators that are actually not theirs, such as prospect conversions and revenue. These marketers have lost sight that these are primarily sales force-related performance indicators and should focus instead on the customer demand-related indicators directly linked to their job and for which they have 100% control, the study found. B2B marketers were also criticised for their efficacy. 71% of CEOs agreed they were prioritising the latest technologies – such as lead management, automation and customer relationship management – but added they were not delivering incremental growth. 85% of those questioned emphasised prospect volume and quality rates, and how effective communications were in attracting potential customers.